IT’S FRIDAY. BUT SUNDAY’S COMING! Remember When? God has given us the tremendous ability to remember. Our minds recall the innocence of youth, the joy of many “firsts” in life—our first kiss, our first car, and our first real job. We relive pleasant memories of vacations, time spent with family, and fun times with our friends. However, there are some memories that are painful. They hurt. Indeed they tear us apart. Episodes of anger. Severed friendships. Broken promises. The Bible records both kind of memories. As Thursday was about to turn into Friday, Jesus ate with his disciples for the final time before the cross. Following the meal he instituted the memorial supper. In taking the bread and the fruit of the vine, He commanded them, “Do this in remembrance of me.” They wouldn’t understand the deep significance of this event until later. Peter’s memory tore him apart. He remembered his brash assertion that he would never deny Jesus. He remembered Jesus’ prophetic words. Its embarrassing fulfillment brought forth bitter tears. Like Peter we all have those painful memories. When we’ve failed Jesus. Followed afar. Even disowned Him. But the good news is that Friday’s unhappy memories can be transformed into Sunday’s joy . When the women came to the tomb and found it empty, the angelic messenger said, “Remember how he told you, while he was still with you in Galilee: ‘The Son of Man must be delivered into the hands of sinful men, be crucified and on the third day be raised again. '” Then they remembered his words. (LK. 24:6-8). We weren’t there. But through the eye of faith, we see. Through the God-breathed record, we hear. Through the infallible evidence, we remember. 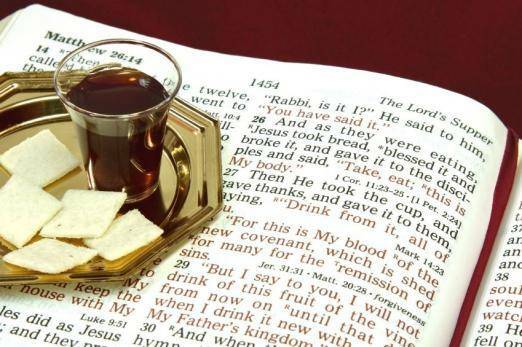 When we meet on Sunday and share communion, we remember Jesus’ words. His life. His example. His death. His resurrection. But we also remember something else. We remember our Friday’s of failure. Our need. Our dependence. And we remember the day we died with Christ. Our spiritual resurrection. And our commitment to His cause. How about you? Do you remember when? The things we remember, and the things we forget – powerful post, thank you for sharing ! You’re welcome Melissa! And thank you for reading and responding! Interesting reading. I am not a christian, but I believe gathering with friends and family to reflect on failure, need, dependence and spiritual resurrection is important and a great way to find your feet in a hectic life. Thank you for reading. And for taking the time to comment. I appreciate your observations.